As an independent marketing consultant, I support all marketing functions; but it's my board-level understanding and experience that will make your business skyrocket. I understand the challenges your business is facing and my innovative strategies will help you identify and reach your goals. With a proven-track record, my services are both an asset to and an investment in your business. Package prices vary on your requirements and timescales, and my services are always tailored to your business needs. Each of my marketing packages are designed to provide you with exceptional marketing support. Which one is the best for you? Have a focused planning session to review your previous marketing activity. Identify quick marketing wins, growth ideas and a basic strategy. Create a high-level communications calendar. Schedule an ongoing monthly or quarterly review. End-to-end project leadership, budgeting and regular updates. Internal and external communication plans. Shortlisting, support with pitches and supplier management. Reviewing your marketing activity, and identifying marketing quick-wins. Stopping what isn't working, and focusing on marketing that delivers. Emphasis on target audiences, and developing your communications plan. Designing and implementing your social media plan. Training you and your team with cutting-edge marketing skills. SOUNDS PERFECT- LET'S GET STARTED! Review your current marketing activity, and what does/doesn't need to continue. Identify marketing quick-wins and growth-hacking strategies. Develop and integrate communication plans. Develop and implement cutting-edge social media plans. Keep you and your team trained with up-to-date techniques. I want to grow my business but don't know how to? That's what I'm here for! Check out my kickstart package. I help businesses every day from one man start-ups to established businesses. Great marketing can be the difference between your business flying or failing. I don't have big budgets or time for marketing. I can manage your marketing so it cost-effectively delivers your wider business goals. Check out my marketing director or small business marketing package. My clients have fed back that I can have more impact in one day than their previous marketing resource has been in five days. Not only can I help your business grow, but I can save you time and money too. Our marketing is old, tired and boring. I'm brimming with new ideas, and bring fresh eyes to your marketing. Check out my services. Sometimes it’s hard to break from activities you’ve always done. I will come in to your business and assess what is working and what we need to change, plus I’ll discuss new marketing initiatives with you to bring energy and impact to your existing plans. Please can you help with a specific project? I can manage your marketing projects such as a new website and rebrand from brief to delivery. Check out my project management package and give me a call. I’ll help you deliver your project on time and to budget. Can you help us find, brief and manage marketing specialists (like web designers)? Yes, just get in touch! Knowing what questions to ask, what your budget will get you and making sure what is delivered is actually what you need are all things I can take care of for you. Whether it’s just a case of introducing you to other experts or briefing and managing the work for you, I can make sure you get the most from marketing specialists. Do you have any specific experience in the Recruitment Sector? 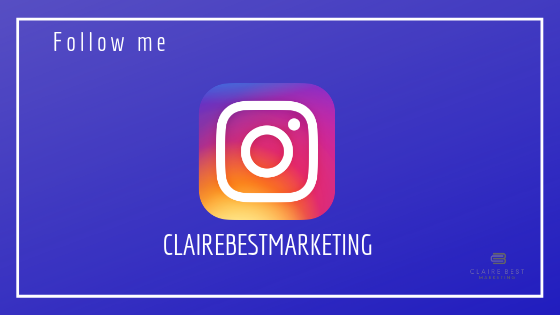 Before I set up Claire Best Marketing, I was Marketing Director for a Global Recruitment agency. I still have clients in Industry and help them with both client development and candidate acquisition. For more information check out my marketing for recruitment agencies section. Is your business sat nav on? They say a goal without a plan is simply a wish, so why do so many businesses I come across not have a plan, in particular when it comes to marketing? With so much advice and so many different approaches to GDPR, who do you know which is the right one and what if you get it wrong? With less than a month until GDPR (General Data Protection Regulations) goes live, there’s a flurry of activity, with many companies still trying to work out what they need to do. In this second blog, we take a look at answering some of the common questions such as ‘Do I need to reconsent my base?’ and ‘What do I need to include in my privacy notice’. Are you GDPReady or does it make you want to cover your eyes and run in the opposite direction? Whether we like it or not, it's coming in less than 3 months, so uncover your ears and eyes and let's make sure you can still talk to your customers post May. Know you need to do some marketing? Want to kick-start your marketing, but not sure where to start? Here's some first steps you can take to get your marketing on the right track.